My life isn't going exactly the way I planned, but I can make ends meet and I have a fiancé I love. I'm one of those people who believes in working with what I've been given… I just never expected this kind of curveball. When a run through Central Park sets in motion events that change the course of Sara Carr's life, she never imagines that they will lead her to Dorian Forbes, a billionaire former fighter, and a new job as his personal trainer. A new job that comes with its own complications. 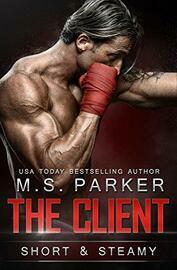 Don't miss this steamy standalone by best-selling author M.S. Parker.